It’s been a busy few months for me, which means that I’ve slacked a bit on the Crazy Ex-Girlfriend reviews. Apologies, readers! I thought I’d talk about the past few episodes though in this post, because it summarizes my feelings about the show’s final season better than a single review could. A lot has happened this year already in West Covina, and the fact that I’m not sure where the series is going to land in its finale actually makes me rather excited at this point. We’ve watched Rebecca grow and then backslide (in an incredibly realistic way), and we’ve gotten the chance to see other characters’ personal and professional journeys unfold. We’ve left some reunions up in the air, and we’ve seen certain characters gain closure. There have been insanely fun musical numbers and an entire episode dedicated to romantic comedies. So let’s dive into what’s really working this season on Crazy Ex-Girlfriend, shall we? Instead of starting with earlier episodes, I want to begin with what I feel was the strongest story Crazy Ex-Girlfriend has done recently — realistic backsliding in terms of mental illness. As we know from last season, Rebecca was diagnosed with borderline personality disorder (or BPD, as I’ll refer to it throughout). After her diagnosis — which came on the heels of her suicide attempt — Dr. Shin, a licensed psychiatrist, recommended group therapy and medication to cope with her disorder. Rebecca, having been on medication for a lot of her life, is resistant to the recommendation of pills. It’s understandable, honestly. I know family members who refuse to be put on medication for their mental illness because they watched a loved one suffer under different medication. She doesn’t believe they will help her and honestly? She’s afraid of what she’ll turn into if she’s on them. So Rebecca refuses the medication, but faithfully attends group therapy and continues her one-on-one sessions with Dr. Akopian. For a while. 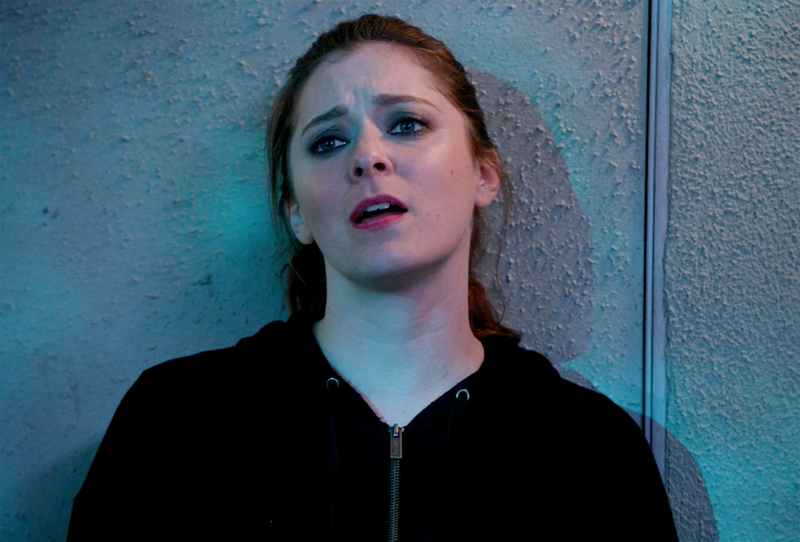 But things start to go awry in the most recent episode, “I Need a Break.” What we haven’t seen recently this season is more important than what we have, it turns out. We haven’t seen Rebecca in therapy. We haven’t seen her reading or journaling or processing her BPD. What we have seen is her relationship with Greg rekindle. And the moment something begins to go wrong, Rebecca spirals. It’s easy to distract ourselves from our personal baggage when we’re in relationships. In fact, it’s why a lot of people use dating as a coping mechanism. It’s why people rebound after a serious relationship fails — if they’re focused on someone else, they don’t have to look inward at the mess that is eating away at them. They don’t have to fix what’s broken. They can convince themselves that they’re fine, really. Happy. Better. When Rebecca is happy, she can throw all of her emotions and energy into whatever is seemingly sustaining her. When it’s a relationship though, it’s dangerous. Rebecca does what many of us do: assume relationships and happiness and love with fix all that’s broken within us. While she is happy, she feels better. And therefore, she doesn’t feel the need for therapy. But that’s not true healing: it’s distraction. And it can only last for so long before we slip down and hit the darkness again. Dr. Akopian warns Rebecca of this when she visits her. Rebecca is exasperated at her therapist’s response — why can’t Dr. Akopian just be happy for her and her relationship with Greg? Why does she even need group therapy anymore? She’s fine! Rebecca says that she’s fine. She’s happier than she’s ever been, and she’s got her BPD under control. What Rebecca doesn’t realize (or does, but fails to acknowledge) is that we can only keep our baggage and darkness at bay for so long when we don’t really deal with it. When we avoid our pain, eventually, it resurfaces. And when it does, it does so at such a rate that we can’t shove it back down quick enough before it begins to hurt us and others. We spiral. We sink. We try every coping mechanism we know is harmful for us. But we don’t care. We need to do anything and everything to keep ourselves from feeling shame, sadness, disappointment, or discomfort. So when Greg and Rebecca get into a fight because she’s not truly dealing with her stuff, Greg walks away to give his girlfriend some space. He’s worried about her, too, it turns out. He’s a recovering alcoholic and he knows that even when you’re happy, you need to go to meetings. It’s often when we’re seemingly the happiest (the times where it’s easier to ignore our issues) that the pains of our past bubble up again. Instead of taking the time to self-reflect and pause, Rebecca crashes and burns pretty hard. She binge-drinks. She tries to hook up with Nathaniel (who turns her away) and Josh (who also turns her away). Both men are concerned for her safety and well-being, but Rebecca can’t see the forest for the trees. She ends up ashamed, alone, and sleeping on a bench outside of Dr. Shin’s office. And Dr. Shin recommends medication. Rebecca is still resistant, citing that her previous medicines made her feel like a zombie. She doesn’t want to live that way because the last time she was on medicine, she nearly died. But Dr. Shin assures Rebecca that he and Dr. Akopian have worked together and they both have determined medication that will be helpful for her. At the end of “I Need a Break,” Rebecca takes one of her pills. It’s a brand-new era for her, and I’m interested to see how the rest of this story plays out. One thing I will say that’s consistently been encouraging in this show’s final season is Rebecca’s willingness to own her mistakes. If we don’t acknowledge what’s broken within us, we can’t grow. True vulnerability requires honesty — not just with ourselves, but with others. Rebecca’s been honest with herself (for the most part, this episode aside) about what’s right and wrong. She’s admitted her misdeeds and she’s made amends. She’s used her internal growth to further external healing. That’s incredibly encouraging, isn’t it? If we can acknowledge where we’ve fallen short and admit it to ourselves and others, we invite healing. When we keep our baggage buried, constantly shoveling more dirt into the graves of our past mistakes, it doesn’t get resolved; it just seeps into every part of our lives. Rebecca’s willingness to even own what she did at the end of this episode is huge progress. She doesn’t know if Greg will forgive her, but that’s a moot point anyway. She knows she needs to be honest or else she’ll just keep getting sicker. Paula hasn’t had a huge storyline this season, and I lamented the fact that she was fairly underutilized last season too. But what we do get the chance to see (through flashbacks in the opening sequence of “I Need a Break”) is that Paula has been doing a LOT in the last few years. Not only has she carried her own family’s baggage, but she’s carried the firm in Rebecca and Nathaniel and Darryl’s absences, and she’s carried herself through law school and she’s carried her friends through crises. It’s exhausting. She hasn’t slowed down and it’s beginning to affect her physically. We don’t know what’s causing Paula’s illness in the most recent episode until close to the end — she’s having a heart attack. First off, kudos to the show for portraying symptoms of female heart attacks. They’re a lot different than the symptoms men endure. Second, poor Paula. She’s been living at a breakneck pace for so long that it was bound to catch up with her. In a series where the running joke is that no one really does any work, Paula has been keeping the firm and her family afloat. Admittedly, some of her storylines have been weaker in the last season than others, but this year finally seemed to be looking up! She celebrated her law school graduation with friends (in an episode where we got to see Josh and Nathaniel compete and understand why Valencia and Hector are rivals), and Rebecca’s finally at a place where she seems stable enough that Paula doesn’t have to constantly give advice (I said “seems,” of course). Moving forward, we don’t know what this will mean for Paula’s career or her relationships, but we do know one thing — she has really good friends who have, unfortunately, taken her for granted somewhere along the way. I know I have. It’ll be interesting to see how the rest of her story shapes up. Falling into the “character growth” column of the checklist this season are the Crazy Ex-Girlfriend leading men: Greg, Josh, and Nathaniel. Greg returned (played expertly now by Skylar Astin who adopted some mannerisms of Santino Fontana and his classic sarcasm), a better and healthier individual. Truly, even though he’s still a guy who hates nearly everything, he’s grown. He’s acknowledged his shortcomings and is actively trying to be better. He continues to attend meetings and he’s stayed sober. He hasn’t punched any walls, and he was self-aware enough to recognize that Rebecca was spiraling before she did. He’s grown a lot and that’s what “I Can Work With You” focused on for both Greg and Rebecca — Rebecca acknowledged that they’re different people than they were. Greg came over to tell Rebecca how he felt about her while she was babysitting Hebecca, and that showed growth. Moreover, he was able to practice forgiveness instead of anger — even when Rebecca deserved condemnation. I really love the fact that Greg is the same person with the same quirks, but evolved. That’s how we all should strive to be. Even Josh has become a better version of himself! He moved out of Hector’s mom’s house and in with Rebecca. In spite of some initial awkwardness on Rebecca’s part (because she’s attracted to nice guys now), the two managed to make their roommate-ship work. And Josh has grown up a bit, choosing to be a thoughtful roommate who just tries to help. I’d compare him to a well-meaning Jason Mendoza (The Good Place) at this point — a dude who tries to help, even if it goes horribly awry in the eyes of others. He even rebuffs Rebecca’s advances, knowing that she’s not in a good place and they’re not a good idea. He went to the grocery store to buy her embarrassing healthcare items in “I Need Some Balance” (an episode where the commitment to symbolism was mad impressive, if highly underwhelming plot-wise). Josh is a nice guy. And now Nathaniel is a nice guy too. He’s come a long way from the self-centered, smarmy dude who Rebecca dated to make Josh jealous. He’s thoughtful and trying his hardest to unlearn patterns of behavior. But he genuinely cares about Rebecca’s growth — something I thought was important growth from last season’s finale, where he seemed to not care about what she did or who she was, just that they were together. Rebuffing her advances the week after he resolved to let her go was a good indicator of how he’s growing. And speaking of the rom-com episode, “I’m Almost Over You” was so good. It was easily the most seamless homage-style episode I’ve seen in a while (R.I.P. to the kings of homage episodes: Psych and Community). 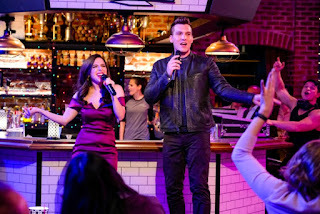 Since Crazy Ex-Girlfriend in itself is a romantic comedy, having a rom-com within a rom-com wasn’t just great for the meta jokes (Why IS there always a karaoke scene with cameras spinning? Why is there no logic in makeover montages? Why is there always a vague BIG PRESENTATION? ), but also for the point it needed to make: Nathaniel had to let Rebecca go. Most of “I’m Almost Over You” is spent with Nathaniel dreaming himself to be the lead in a rom-com, where Greg and Rebecca are still together and he’s trying to win her back. To do so, he recruits Maya (who’s made a return) to fake a relationship with him because she’s trying to make another girl jealous. The result is every classic rom-com trope in the book, and it’s beautiful in its twist — rom-com Nathaniel ends up predictably falling for rom-com Maya but within the dream, Maya changes into Rebecca, who gently pleads with Nathaniel to let her go and let her be happy. One person who doesn’t get enough credit on this show is Scott Michael Foster. I’ve adored him since he was the slacker, lovable Cappy in Greek and he’s brought such a wonderful layer of tension, comedy, and fun to this role. He hasn’t always been a part of the series and sometimes I forget that because he fits so well into the show’s structure. In the rare moments we get to see Nathaniel’s vulnerabilities, it’s a treat to watch Foster’s acting. But the end of “I’m Almost Over You” was even more poignant, as Nathaniel — in tears — doesn’t want to let Rebecca go but knows he must. How many of us have been in the same place at one point in our lives or another? When Nathaniel wakes up from his dream, it seems to be the catharsis he needed to truly move forward. 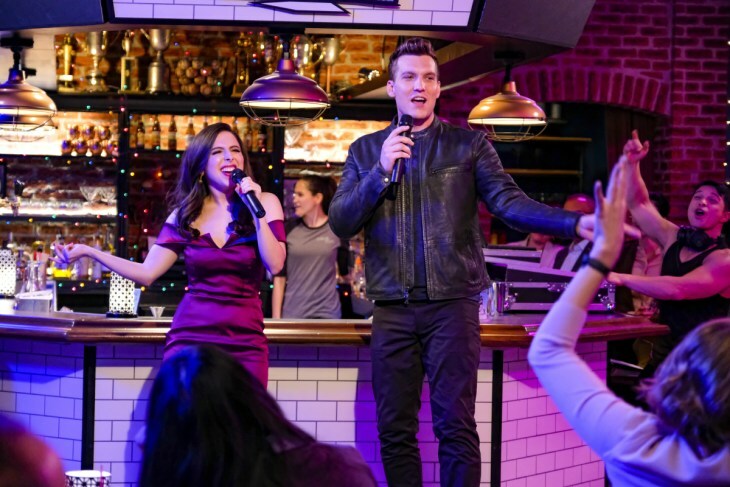 We only have a few episodes left of Crazy Ex-Girlfriend, a show that brought hilarity, songs, and incredible storytelling to our screens over the past few years. There’s still a bit of story left to tell and threads left dangling. What about Valencia, Heather, White Josh, Darryl, and Hector? How will their stories conclude? Plus, now that Rebecca is on medication, how will it impact her and her relationships? Will the series end with Rebecca single or in a relationship? What about Paula’s future, and the future of the firm? Because Rachel Bloom and Aline Brosh McKenna are brilliant, I know that they have something silly, heartwarming, and poignant up their sleeves for the final season. And, much like going down a slide at Raging Waters backwards, I can’t wait to enjoy the rest of the ride.